To me, the speech of Dr Laura Ruohonen of Finnish research centre VTT at the World Bio Markets Conference, last March in Amsterdam, opened new perspectives on the biobased economy. There are many, so far unexplored biobased chemicals and polymers – we are just beginning to see what the future might have in stock. At least, that was my conclusion after hearing her speech. Of course, Dr Ruohonen sang the praise to the excellent services that VTT can offer to biobased companies. VTT has ‘a strong interface with customers and a long tradition in working with industry’, and can perform ‘R&D targeted to respond to business and market needs, and develop strategic IPR.’ In their Bioruukki piloting centre, they have 70 bioreactors at their disposal, in the range of 0.5 to 1200 litres. They have a broad range of expertise: renewable energy solutions, innovative biomass processing, recycling concepts and new routes to biobased chemicals. There are other centres that render these services. But the striking part of her speech was in her examples. Hemicellulose is one of the most elusive biobased materials. Images of it are restricted to its chemical formula. Very promising to me seemed the development of new products from D-xylose. 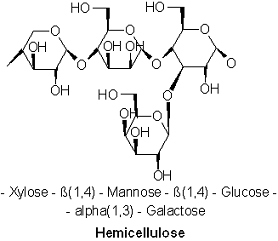 This sugar is the main constituent of hemicellulose, one of the components of wood. As more wood is now used to produce biobased chemicals (e.g. ethanol from cellulose), an increasing amount of xylose now comes to the market. This too can be processed to bioethanol (although this is not as straightforward as ethanol production from cellulose) – but we might do much more sensible things with it. Like processing it to xylitol, the sweetener. Or to D-xylonic acid. This compound has many uses: it can be used as a complexing agent and chelator; as a precursor to 1,2,4-butanetriol and glycol; in the production of co-polyamides, polyesters and hydrogels; and as a clarifier for polyolefins. VTT researches conversion of D-xylonic acid into platform chemicals. 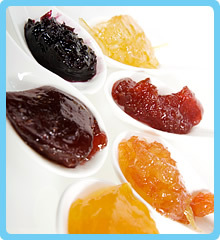 Pectin is much used as a gelating agent but it can also have applications as a feedstock for biobased chemicals. And finally VTT proposes polyglycolic acid. This is a biodegradable polymer, traditionally used for surgical sutures that are resorbed in the body. However, by modification and combination with other materials, it now finds new applications in packaging materials, because of its mechanical strength. In short, the discovery of new pathways to produce new biobased chemicals and products has just begun.